And then again switching gears in the same movie getting philosophical, ruing the fact about the brief life of a child due to the circumstances surrounding his birth. The child's mother, wailing 'Tere bachpan ko jawani ki dua deti hoon, aur dua deke pareshan si ho jaati hoon'. Not a word out of place, taut emotions. And the third stanza - Bediyan leke lapakta hua kanoon ka haath, tere maa-baap se jab tuzko mili ye saughat. Each and every line of the lyric fills you with apprehension, the worst sense of foreboding, fear of unknown danger, lurking in the garb of the law. The great Sahir at play here. All the songs of this movie are so beautifully tuned by Jaidev - the master underrated craftsman. Hum aap ki bahon mein - while romancing Mala Sinha, to a woman submitting herself 'Aaj sajan mohe aang laga lo', switching to a very light song like 'Sar jo tera chakraye' without ever loosing the momentum. Then again turning seriously critical in - '"ये कूचे, ये नीलामघर दिलकशी के, ये लुटते हुए कारवां ज़िंदगी के, कहाँ है कहाँ है मुहाफ़िज़ खुदी के? जिन्हें नाज़ है हिंद पर,वो कहाँ हैं?" or subtly agonizing over unrequited love in 'Jaane wo kaise log the jinko pyar se pyar mila'; till the climax song of the movie 'ye mahlo, ye takhto, ye taajo ki duniya, ye inasaa ke dushman samaajo ki duniyaa'. Sachinda doing justice to Sahir's words or Sahir complimenting S D Burman's tunes with appropriate words. These are just two movies out of the many Sahir penned songs. Unless one sits down to write a book on Sahir's lyrics, it is difficult to put his entire career in a blog. Such a humongous task cannot be achieved or attempted by an ordinary person like me. However to be very honest, I cannot end this without mentioning 2 songs, penned by this great man, the few lines of which rankle me no end. 1. Naya Daur  - fantastic music - great lyrics - almost all but 1 line --- Mang ke saath tumhara - such a popular romantic song, setting the tone of the romance of the lead pair and the 4th line in the first stanza 'Aas mili armaan mila === Jeene ka saman mila'. What's happening - a person of Sahir's calibre using a word like 'Saman', which ordinarily denotes luggage. This word 'Samaan' to me is out of sync with the greatness of Sahir. 2. Devdas  - Bimal Roy's classic and according to me the best of the 3 movies by the same name [1935, 1955 and 2002]. Everything high calibre in this movie - Direction - Acting - Music - Lyrics except 2 lines in the most beautifully written song of the movie == 'Jise tu kabul karle, wo ada kahan se laon, tere dil ko jo lubhaye, wo sada kahan se laon'. The first stanza, 2nd line - Meri umr ba-h ga-i hai meri ansuo mein dhalke. First hear and see how Lata has to stretch the word ba-h and gayi to adjust the meter of the song. Secondly I think 'umr' dhalti hai, not bahti hai and aanso bahte hai and not dhalte hai. So appropriately this line should have been -- 'meri umr dhal gayi hai, meri ansuo mein bah ke'. Sing along and watch the ease with which this line jells with the song. I am sorry Sahir saab. This is in no way an attempt to undermine or demean your fantastic achievement. Cannot even imagine it. You will always be great for me. सर, आप हिंदी/उर्दू साहित्य से मुझसे ज्यादा वाकिफ हैं. मगर मुझे ये लगता है.… यहाँ कुछ भी गलत नहीं है. साहिर साहब अपने गीत में कह रहे हैं की मेरी उम्र आंसुओं में ढलके बही है. आंसुओं को उन्होंने बहाया ही है. ढलने नहीं दिया। यहाँ ढलने जैसा कुछ नहीं है. of the quotation attributed to the Robert Browning? In the song from Naya Daur, probably Sahirji wanted to liken the terms 'Aas' and 'Armaan' to 'samaan' to bring in an analogy to the lives of tonga drivers - as Dilip kumar was a tonga driver. Just as a tonga does not move until it gets a 'sawari+samaan,' their (Dilip's and Vyjayanti's) lives also were stationary till they found hope and desires to give a green signal. Mr. Apte, I chanced upon your blog today, and saw your two reservations about Sahir’s poetry. Being an avid reader of Urdu poetry in general and Sahir’s poetry in particular, I would like to offer my humble explanation of what Sahir is trying to say at the two spots you mentioned. First, please note that the word ‘saamaan’ means ‘apparatus’ or ‘means’ in addition to ‘luggage.’ In the Naya Daur song, all Sahir is trying to say is ‘I got the means (or better still, the reason) to live.’ As an example, let me cite a sher (couplet) by “Asar” Lakhnawi. Thanks and I am in consonance with your arguements Irfan Abid. Please keep reading and pointing out my lacuna's . Thnx for making me understand Sahir again. I know there is no ocean named after Sahir n there is nothing called lahronke tarnnum.....फिरभी gustakhi maaf...युगा. A few pictures of my idols, a few letters from the beauteous – these were my means of my support. Thanks a ton Jayan Menon saab . I welcome and appreciate your comments . Honourable connaissoirs have already expressed very nicely the nuances in the Greatest poet Sahir's kalam. These discussions are intellectually stimulating. I would very much like to know the views or interpretations of other 'intelligent' mortals[ like Abdul and Irfan Abid] about our Greatest Poet. After all Sahir wrote for Aaam Admi !!! This page is a great educational source where you find lots of cool articles. We are all reading, writing, understanding and commenting in English language on the Urdu poetry of Marhum Sahir. Therefore, we are all aware of "Figures of Speech", where meaning of the words are different than their meaning as found in the dictionary or rather have different shades of meaning. Is it True ? Plz. do not undermine the urdu poetry of Marhum Sahir Sahab. As someone rightly already commented above . . . . "mahsus karna." Plz plz mahsus karo but do not dissect. Narrating one recent incidence on the same song of Naya Daur. I was accompanied in group on South India your and enjoying Antakshari and discussing about deteriorating quality of today's lyrics. One of the young co-passenger quoted the same line and said it prevailed in old days too, just to adjust meter of lines or यमक जुळवून आणण्यासाठी.One of the senor and learned friend in the group explained this in a convincing manner. I quite his words "Here Sahir is referring the word Saman as Perception of life जीने का नजरीया. Hope you would appreciate this. Name of my friend is Mr. R. Sunder. He has a big treasure of Hindi Film music. He sings songs of Talat...Regards. Chandrashekhar Kulkarni. 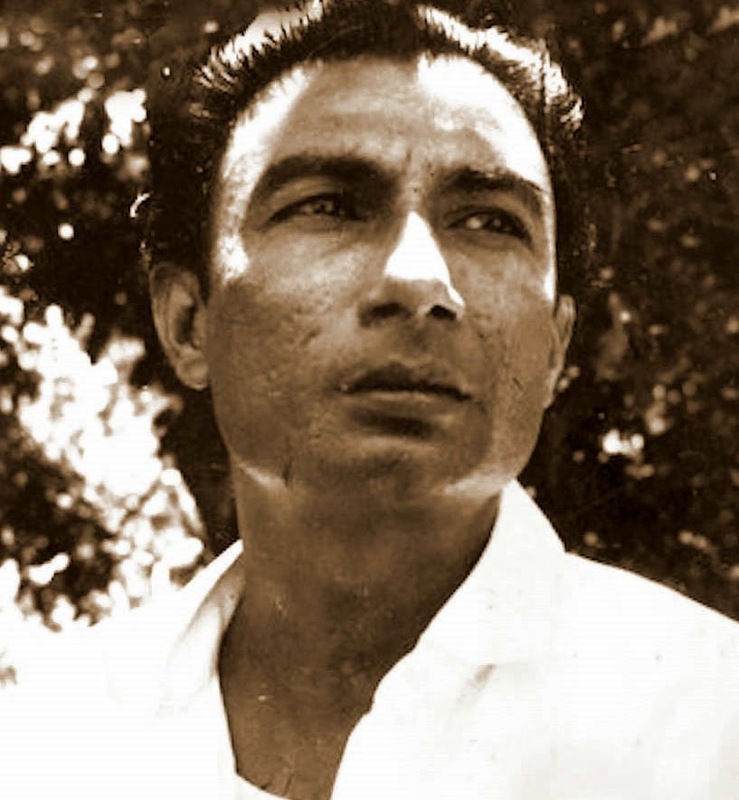 When he wrote lyrics for Gumrah movie, "chalo ek baar hum phir se ajnabi ban jaye" he received great applause from Hasrat Shailendra and other poets of the time. Great poet ! link to this blog was forwarded to me by a friend. am glad he did! about 'behna', and 'dhalna', poets are known for thinking out of the box. isn't that what poetry is all about! Dilipsaab.. the way you analyse the words saahir ji has used, you may not consider Gulzaar ji a poet at all..!! I am great fan of old classical Indian music. My grandmother was a big fan of Qawalis. However, in latest Indian movies we just unable to watch quality poetry like Ludhianvi Sahab. When ever I watch Indian movies online at 123 movies free , I realized Indian movies are losing their quality poetry. When press screenings for the New York Film Festival begin every year as summer edges into fall, it can seem that the cinema year isn’t three-quarters over but just about to begin: many of the several dozen films the festival showcases hold the promise of being ones that will dominate discussions and tallies of the year’s best work as New Year’s approaches. When those screenings end a bit less than four weeks later, one’s earlier expectations have often been handsomely met, enough so that the contours of the year’s film accomplishments begin to take shape.